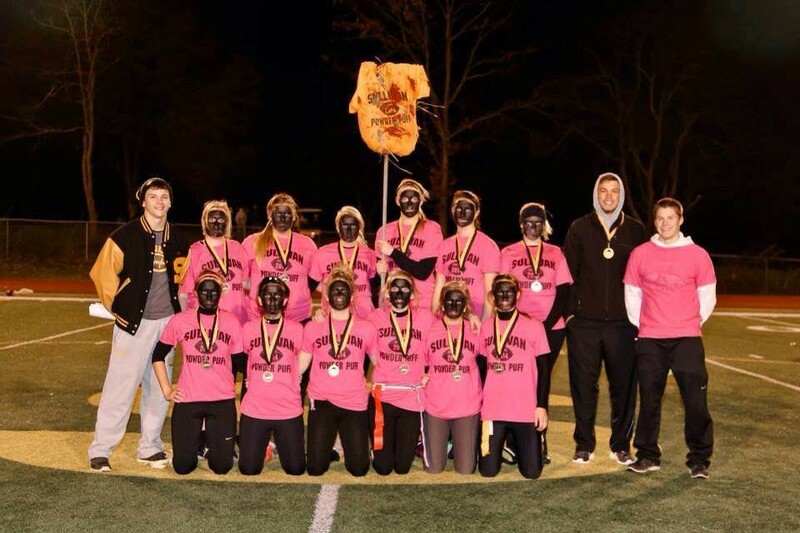 Seniors at Sullivan High donned blackface for the school's annual powder-puff game. 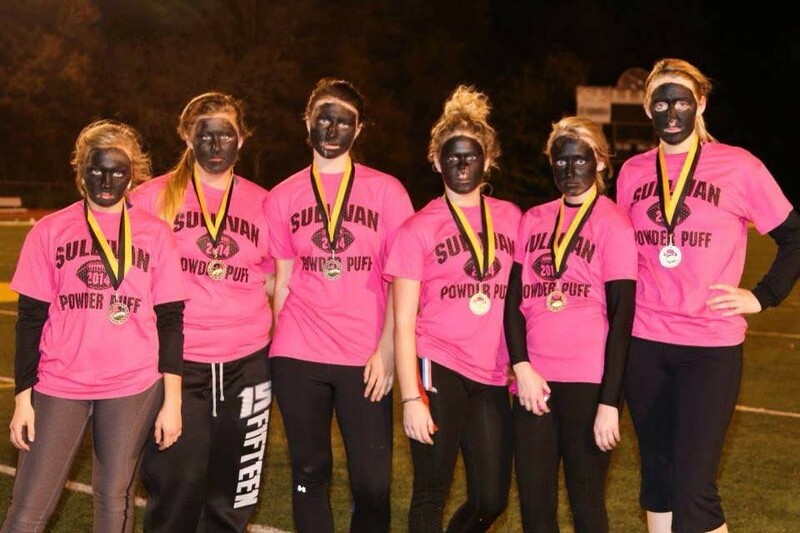 When a dozen teen girls in blackface ran onto the Sullivan High School football field November 5 for a powder-puff game, Jennifer Schmidt recalls her gut reaction as, "Oh my gosh." "And then I thought, 'Oh, they don't mean anything by it. Just let it go. No one thinks anything of it.' 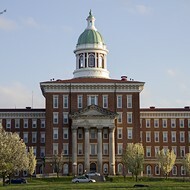 I didn't think anyone did," says Schmidt, the principal of Sullivan High School. "Evidently, someone did." Evidently indeed. Photos taken during the game show twelve members of the senior class wearing dour expressions beneath full-blown blackface, and someone at the game shared those photos on Facebook. The reactions to the photos have been rippling within the small town of Sullivan (60 miles southwest of St. Louis) ever since. The girls, says Schmidt, have been "very embarrassed and shocked at some of the responses they've gotten, because I think some people had some stuff on Facebook and got the wrong intention." The jersey-on-a-stick belongs to the defeated freshman team. Although, considering the freshman didn't wear blackface, perhaps they're the winners? The powder-puff football tournament is a yearly tradition at the school, says Schmidt. Organized by the junior class, each grade fields a team, the football coaches stand in as referees, and members of the boys' varsity football team act as coaches. The entrance fees from the tournament benefit prom. "It's just a fun kind of fundraiser," Schmidt says. "There were a few people in the crowd, not a lot. It was cold." Schmidt adds that it's been common practice for the senior girls' team to wear face paint during the powder-puff football tournament, essentially as a parody of the eye black football players normally wear to decrease glare from the sun and lights. The face paint also serves to "to intimidate the underclassmen." According to Schmidt, in previous years the girls have wore combinations of the schools' colors — black and gold. But when the senior girls arrived prior to the November 5 game, they discovered everyone had brought the same color face paint — black. "So that's what they wore," says Schmidt. "There was nothing racial about it. They didn't have any other intention other than to just try to intimidate the underclassmen." Schmidt tells Daily RFT that the school hasn't taken any disciplinary action against the students in the photos. "I can assure you they will not be wearing black face paint again," she says. "In fact, we're probably just going to end the face-paint thing, and nobody wears any at all." 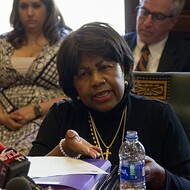 Leigh Kolb, an English and journalism instructor at East Central College in the nearby town of Union, encountered the Sullivan High School photos the day after the powder-puff game, when one of her students showed her the images during a class discussion about the history of blackface. 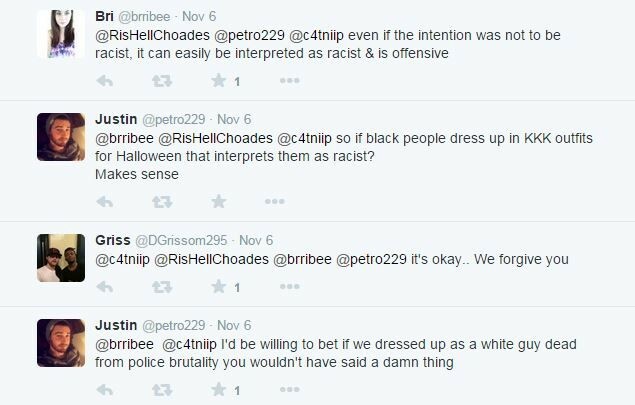 "It was pretty clearly offensive to us," says Kolb, who also teaches courses on composition, media diversity and African American literature. "It's an example of...likely not egregious and malicious intent, but a lack of historical context." This lack of knowledge, says Kolb, isn't just restricted to girls' powder-puff football games. 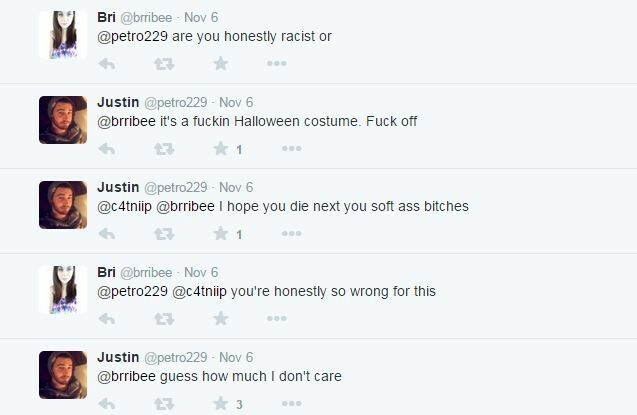 During the same class, a student showed Kolb a Twitter photo from a Washington man who dressed as Darren Wilson for Halloween — along with a friend who donned blackface for a Michael Brown costume. These guys obviously don't read Daily RFT, or they would have known better. Continue for another awful Halloween blackface photo, and Kolb's method of teaching students about the history of blackface.